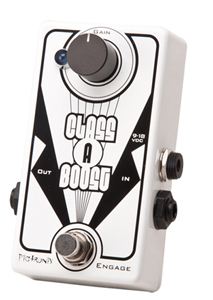 How can anyone complain about a great-sounding boutique pedal at mainstream prices? Taking its design cues from industry-veteran Gary Hoey who wanted to ensure a great-sounding, built-for-the-road but affordable pedal, HBE has created just that. This is a simple, road-worthy standalone overdrive that costs just $99. Nice! Not much media on this pedal yet since it’s so new, and I’ve only seen one video of this so far, which was okay, but the demonstrator only used a single guitar, and only made a few adjustments; frankly, to me not enough to give a good representation of the pedal’s capabilities. But based upon what I heard in that video, this pedal is more standalone distortion than overdrive, but really a better test will determine that. 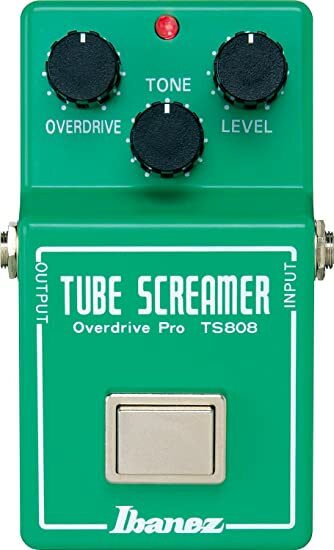 In any case, you can find a bit more information at ProGuitarShop.com. Andy hasn’t done a demo video of it yet, but since he praises it, I’m sure he’ll produce something soon.